A nostalgic collection of amateur films of trolleys shot on the streets of major cities in the United States during the 1940s and 50s. Once the principle method of conveyance in this country, trolleys transported people to work and play from the 1880s to the 1950s. Those beautifully-designed electric streetcars are now a long since vanished relic of a more elegant age, having been replaced by buses in the 1960s. 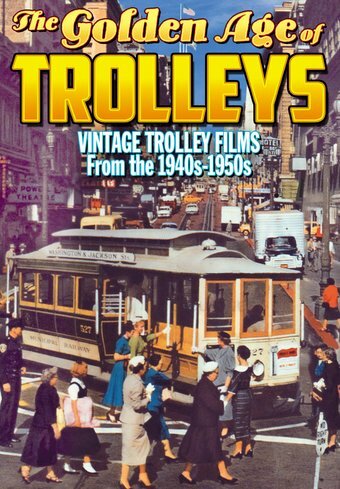 This compilation features an hour of amateur films of trolleys on the streets of major cities in the United States during the 1940s and 50s. These include Detroit, Atlantic City, Chicago, Indianapolis, Cleveland, Milwaukee, San Francisco, Sacramento, Philadelphia, Denver, Baltimore, and New York. The Golden Age of Trolleys will take you on a sentimental journey into a nostalgic past that will never be forgotten.